It appears that Microsoft may be preparing to launch a number of ‘holiday stores’ in major metropolitan areas for the end-of-the-year sales rush. If you are Microsoft, what’s one of the largest challenges that you face, looking forward towards the conclusion of 2012? It’s not proving to people that the Surface is a good-looking device. It does that on its own. However, explaining what’s a Windows 8 and what happened to a user’s Start Button is a whole separate challenge. 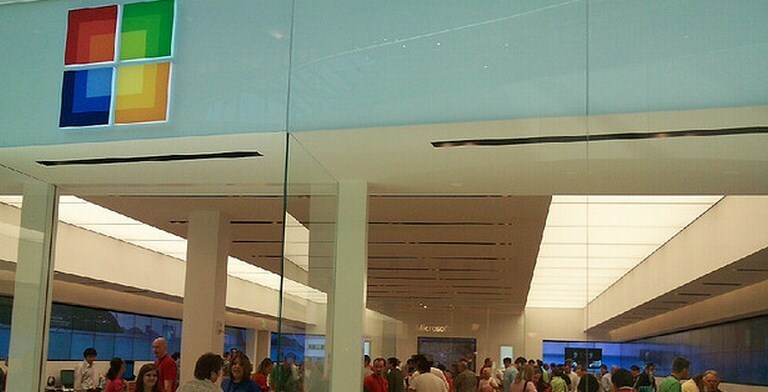 Microsoft has its own retail stores. Not that many of them, frankly, but enough that they are no longer oddities, and their openings no longer seeming one-offs. That in mind, according to the exceptionally well-sourced Mary Jo Foley, Microsoft will only have 44 stores open by the middle of next year. Microsoft has a massive need for the ability to educate end users, and sell its new tablets, and that means more Microsoft stores. However, with but 44 to be ready to go far after Windows 8 and the Surface units arrive, the company appears set to be woefully under stored. This may explain why the company expects to only sell a few million Surface units in the next year. Let’s be generous and guess that 40 stores will be online for the holiday sales cycle, that will encompass the new products. That’s more than 7.5 million US citizens for each store. Enter these holiday stores. A full list of their locations can be found here on WPCentral, but if you can guess Chicago and New York, you have an idea of where they are going to be located. Microsoft can afford to rent large tracts of real estate in prime locations, put together a staff, and both teach Windows 8 and sell Surface units in a very public, noticeable way. Now, it might not want to keep all those locations, given their likely high rents (downtown Chicago is more expensive to lease than the suburbs of the city, where the company’s permanent store resides). However, it can well afford to spend some time there. Why? From the other direction, it almost can’t not spend the money. If it doesn’t, its lack of presence could hamper its chances of a strong Windows 8 launch. A market vote of little or low confidence in Windows 8 in its early days could lead to a perception problem along the same lines as what mangled Vista. Holiday stores could be the tool by which Microsoft executes a full court press into the public’s mind and wallet. TNW has a request for comment in with Microsoft and will update this story upon hearing back.